Description : Waltproof is a quick and easy to use tool that enables you to track your spending, and set monthly budgets for yourself. 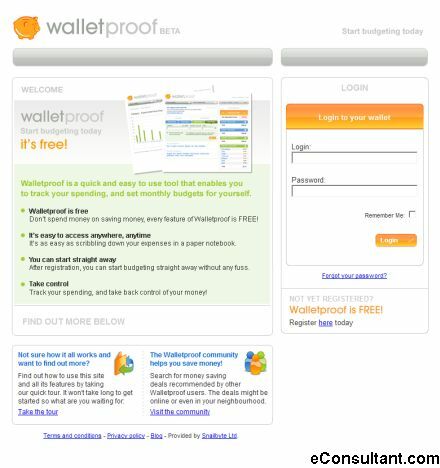 Walletproof is designed to help you track what you spend you’re money on, regardless of how your bank accounts are structured. Simply enter your monthly income in "Recurring income" and your rent, water and heating bills etc. in "Recurring expenses" and your day to day expenses in "This month’s expenses". You will know how much you have left to spend.